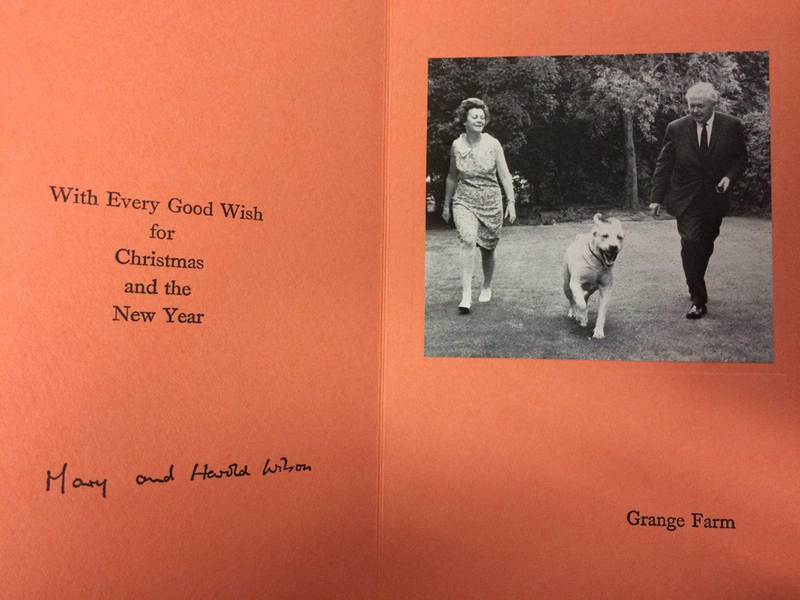 In office from 1964-70 and again between 1974-76, he won four out of five general elections, more than any other post-war British leader of any party, and served during one of the greatest periods of social and industrial change in the 20th century. Now his collection and that of his wife, poet Mary Wilson, will be offered at auction next month. Lady Wilson, an accomplished poet whose books sold in the many thousands during the 1960s-70s, died last year at the age of 102. 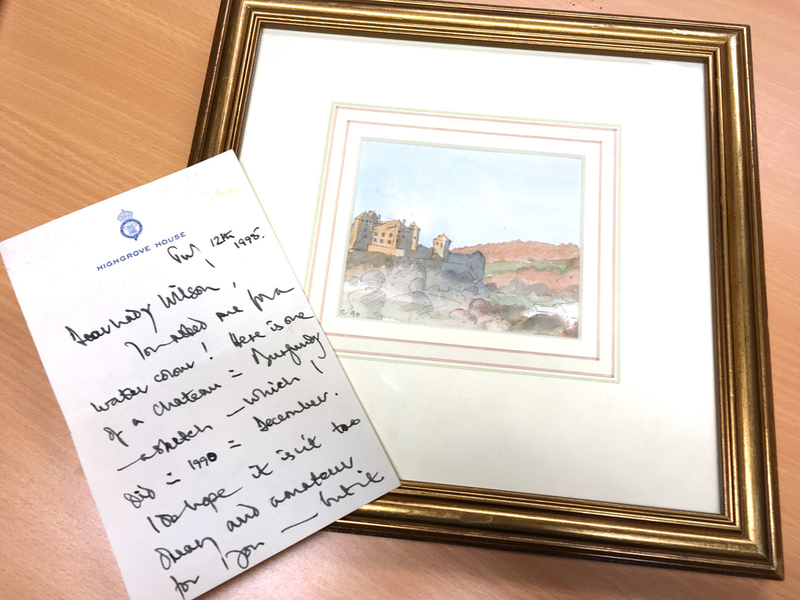 On the instruction of the executors of her estate, auction house Hansons in Etwall, Derbyshire, will sell the collection at Bishton Hall, near Stafford, on May 10. 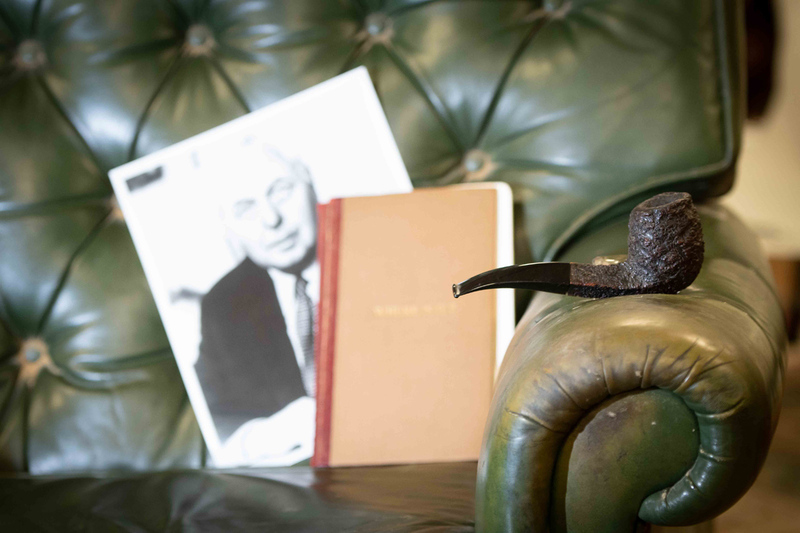 The collection comes from the couple’s former London home and includes Wilson’s pipes, passports, paintings and personal papers. 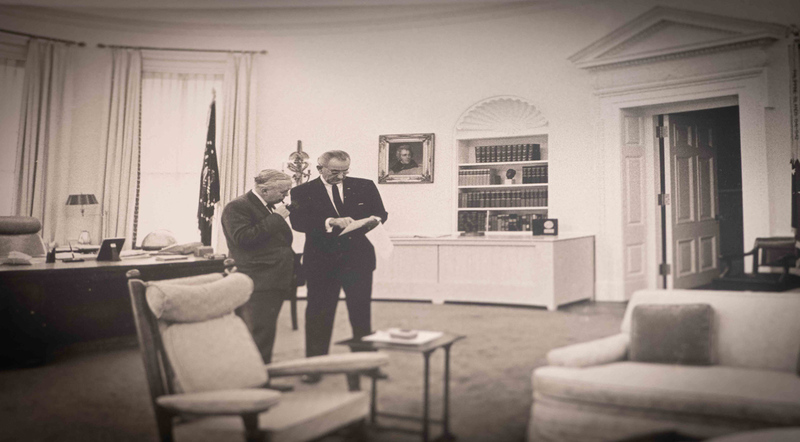 Notable items include a painting by Prince Charles with letters gifting it to Mary Wilson, photographs of Wilson meeting former US president Lyndon B Johnson, personal effects such as pipes and an HP Sauce bottle with his name on the label. 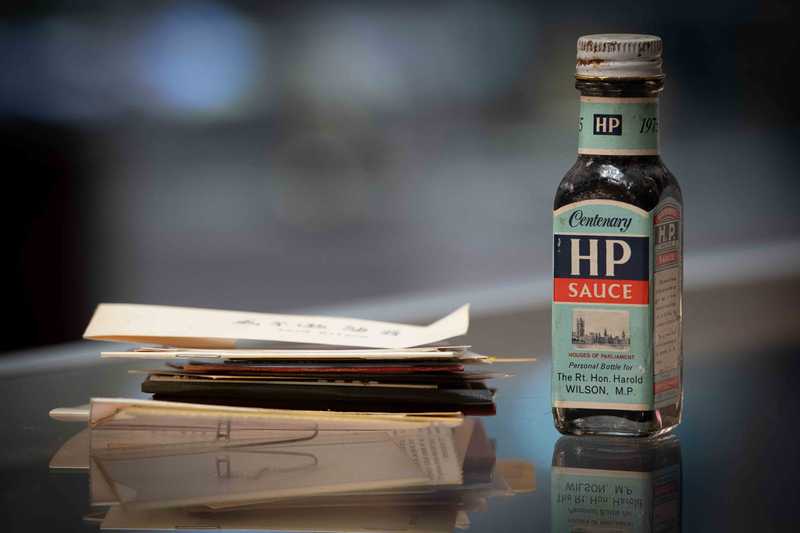 HP Sauce became known as Wilson's gravy in the 1960s-70s after Lady Wilson gave an interview to The Sunday Times in which she said: "If Harold has a fault, it is that he will drown everything with HP Sauce." A HP sauce bottle with Harold Wilson's name on the label. 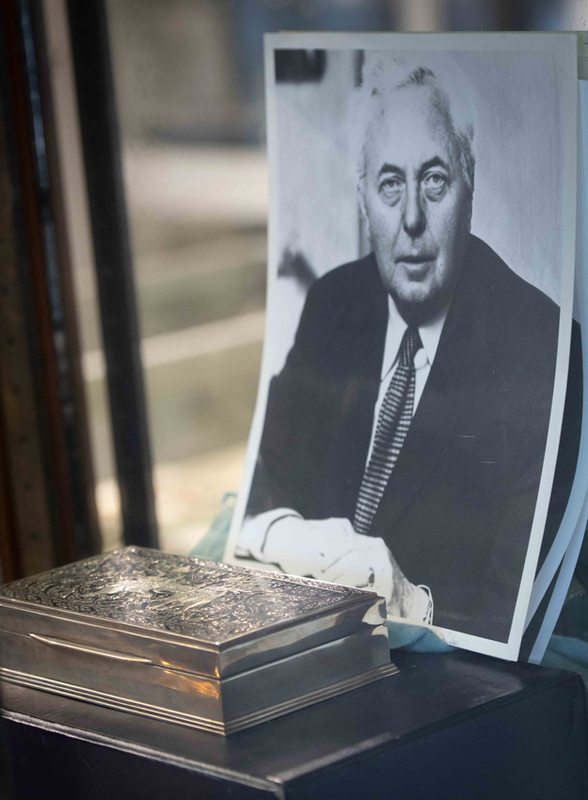 Other notable items were personal papers that Wilson saved including a notice from the Ormskirk Advertiser in 1945 declaring Wilson as the Labour Party victor with 30,126 votes – a majority of 7022. 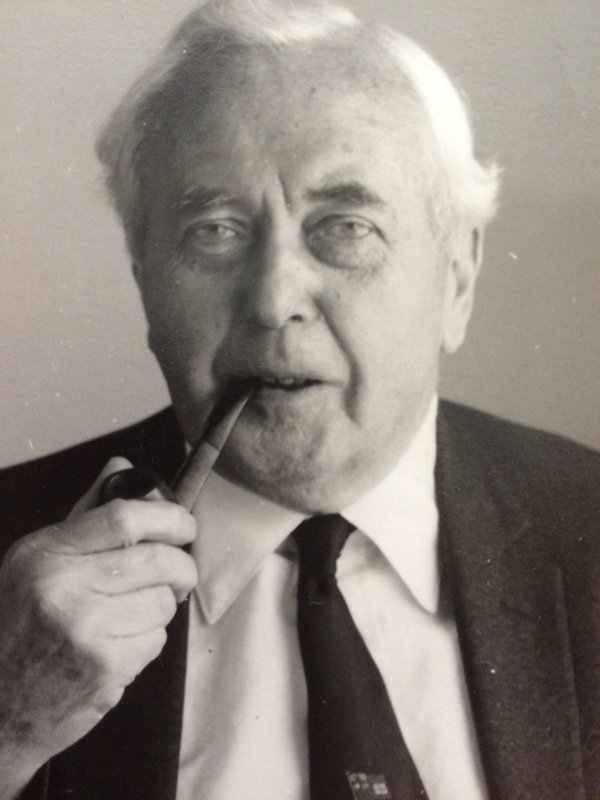 Harold Wilson was selected for the constituency of Ormskirk and in 1945 won his seat in a Labour landslide. 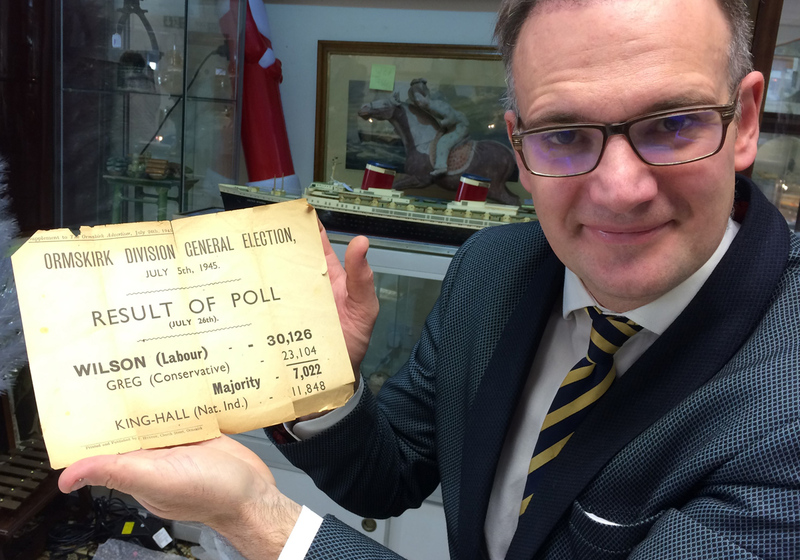 This notice, held by auctioneer Charles Hanson, is from the Ormskirk Advertiser declaring Wilson as the Labour Party victor. Yorkshire-born Wilson, who became Lord Wilson of Rievaulx in 1983, enacted major social reforms including the abolition of the death penalty in 1965 and the decriminalisation of certain homosexual offences in 1967. The collection is currently being processed by Hansons and lot estimates are yet to be assigned.